Team owner Harry Scott Jr., Round Six. Nobody said this was supposed to be easy. Let's see how these two try to get it done. While Matt Kenseth and Jimmie Johnson go at each other again Sunday afternoon, in their championship duel, Allgaier will be waging his own little battle, to earn a full-time ride on the Sprint Cup tour...and Scott too, to earn his spurs as a new Sprint Cup owner. "I think everybody would like to see another underdog story here....and I'm ready to fill that role," Allgaier says. "Let's go do it." 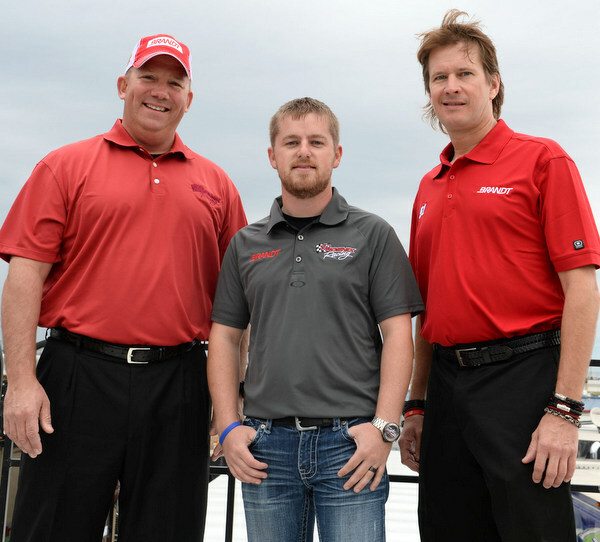 Allgaier is part of NASCAR's youth-push. Well, sort of. 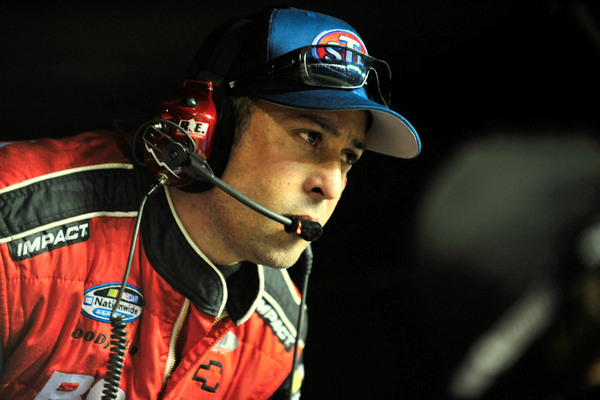 He's 27, a five-year Nationwide veteran, a Roger Penske find now driving for the Cup series' newest team owner. And this Talladega 500 will be only Allgaier's third Cup run, but it could be one of his biggest days yet. Will this be his big break? Does he feel he has to make something happen? Allgaier's not the only question here. Scott, who with partner Steve Turner has been creating a rather large racing empire on the Truck and Nationwide side of this sport, is also under the gun. There is no shortage of good drivers in this sport. But now making it as a team owner, wow, that's not nearly as easy. James Finch gave it the good try. With 25 years on the Nationwide/Busch side of the fence, he finally stepped up to Cup a few years back, only to find that garage a much tougher place in which to survive, even with support from Rick Hendrick. Finch ran Kurt Busch last season, then started this season alternating AJ Allmendinger and Regan Smith. 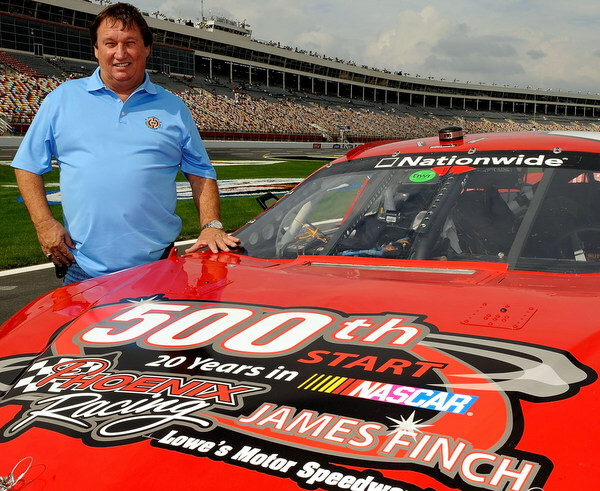 However the aggravating finances at this level pushed Finch to sell. To Scott. Now Scott is the proud new owner, almost three months now, of this full-fledged Sprint Cup team. The Finch-to-Scott handoff is a leap into the deep end of the pool for Scott. This weekend he has Allgaier at the wheel. Next week it's Kyle Larson, on loan. Sunday will be Scott's sixth official Cup race. Allgaier ran 27th for him at Chicago; Michael McDowell ran 30th at New Hampshire; Ryan Truex ran 32nd at Dover; Allgaier crashed out 39th at Kansas; Larson ran well at Charlotte till his engine blew, leaving him 37th. No, this isn't an easy sport. In this zero-sum game, one side wins what the other side loses. And these days the playing field certainly seems so tilted it's difficult to see why anyone would really want to sit down at this poker table. Give Scott kudos for taking the risk. And then he does have some Hendrick's engineering to work with. Elledge has been here before. But not quite like this, with so much on the line for everyone involved. Remember Talladega 2008, when a botched NASCAR yellow line call took the win away from newcomer Regan Smith? Remember Talladega 2003, when a stunning NASCAR no-call on a yellow line violation in turn three allowed Dale Earnhardt Jr. to win? 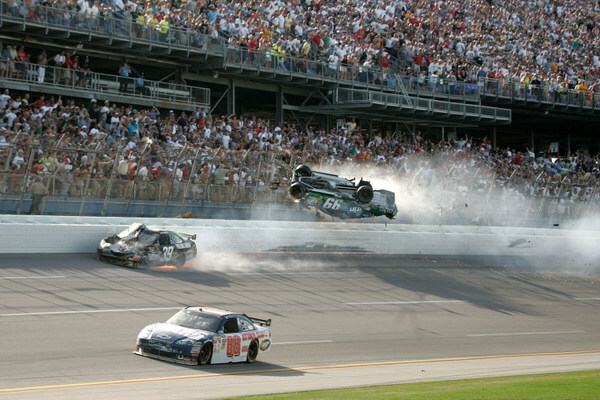 Remember Talladega 2009, when newcomer Brad Keselowski refused to give away his inside line in a block by Carl Edwards....and the two touched, Edwards' car then sailing in the air and bouncing off Ryan Newman's car in a horrifying accident, which fortunately injured nothing but pride. This place tends to bring out the weird. Like Elledge's 2001 win here with Bobby Hamilton, a race that amazingly went caution-free. When it comes to Talladega, more than at any other track, figuring out a driver's mindset can be crucial. Just how far is someone willing to take things? "The thing with Carl and Brad, obviously the end result wasn't where we wanted to be," Allgaier says. "There has to be a limit. 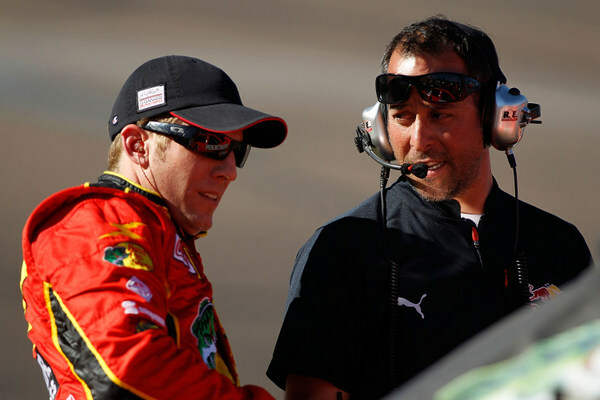 "I don't fault either Carl or Brad...and I don't fault anyone in the Regan Smith situation. "You've got to hold your line...and do whatever takes to win the race." However NASCAR's yellow line calls have seemed at times rather wishy-washy. Consistency hasn't been the rule. The Denny Hamlin versus Kurt Busch situation at Daytona a few years back shows how difficult it can be for the NASCAR tower to decide which way to rule. Part of the rule is that a driver going below the yellow line won't be penalized if he gives back any spot so gained. But when it comes to forcing a rival below the line, invariable NASCAR has penalized the guy who goes below the yellow line, regardless of whether or not he was forced down there. "The majority of the time they're going to side with the guy who is the leader, or the guy who is in front," Allgaier says. "Their theory is there's always the outside of the race track, if you're trying to make a move. There's 100 feet out there. So why chose the six feet on the inside? "In theory that's right. But the shortest distance is always faster." And here and Daytona just to make it a little tougher on everybody, NASCAR -- to keep drivers from teaming up in two-car packs -- has rules limiting the engine cooling for these cars. So drivers can't run nose-to-tail for any length of time, without backing off to cool the engine. Drivers thus spend a lot of time watching their temperature gauges instead of the competition. "We saw some engine failures at Daytona, and some engine failures here at Talladega, and Daytona in July," Allgaier says. "It's going to happen." And it's not just a blown engine that's the threat. "The engine will dictate where you win or not, because if you get it too hot early, you could ruin your chance to win the race late," Allgaier says. And what about the good ol' bump-draft...or slam-draft, or whatever version of the push-to-go-faster drivers may try here Sunday? "Short of putting a glass rear bumper on these cars, or spikes on the front, we'll keep hitting each other," Allgaier says. "I don't know we'll ever fix that. "I did like the rear openings on the rear bumper that they tried in the test (Monday at Charlotte). I don't know if it worked or not, but I liked the concept. "Another thing I'm interested to watch is that proposal to have the exhausts come out the rear of the car, instead of the sides. That was neat. "If you have the exhaust like that, and you come up behind someone, you can choke the engine down by creating more back-pressure in the exhaust. "But, honestly, let's just take the restrictor plates off these things and see how fast we can go. And the guy who has the most, uh, nerves...."
NASCAR is on a youth kick, and Justin Allgaier is part of the program. He could be facing off against Kyle Larson and Austin Dillon in next season's rookie of the year race...assuming Allgaier gets the full-time ride in what has been a curiously revolving door operation the last few weeks since Scott signed in. Allgaier may finally be coming of age in this sport, after five years on the Nationwide tour. 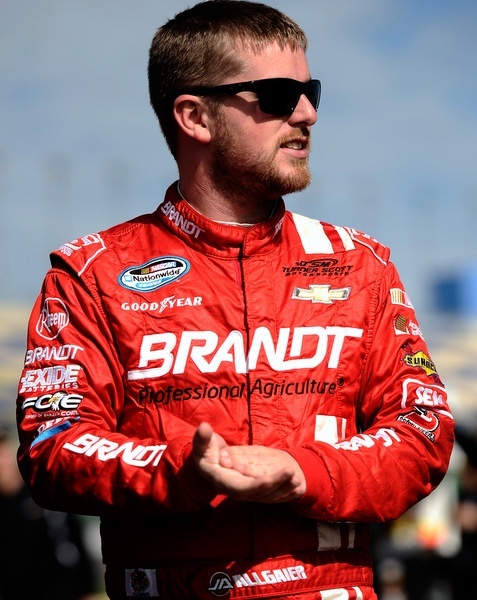 Allgaier is a well-known name and face in the garage, more perhaps for perseverance and a non-stop personality than for trips to victory lanes. He's one of those young guns trying to find a place in a sport where good rides are scarce and expensive, a sport where drivers sometimes don't hit prime till well in their 30s....and then tend to hang on for quite a while. Allgaier has put in plenty of laps on these tracks, during his ARCA and Nationwide years. (He won the ARCA championship in 2008, and he was NASCAR's Nationwide rookie of the year in 2009.) His biggest headline was probably at Chicagoland in the summer of 2011, when he won the Nationwide race when Edwards ran out of gas on the last lap. 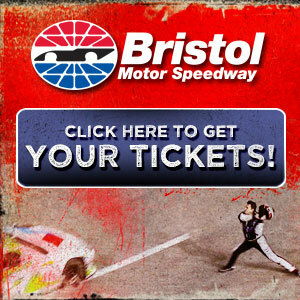 He's also won Bristol. And he won an ARCA race here in 2008, beating Joey Logano on the last lap. One question here, is Elledge still up to the game? Once a formidable crew chief on the Cup tour, he hasn't been seen much lately. He has been pretty much on this sport's periphery since Team Red Bull pulled out of Cup at the end of 2010. In fact Elledge was on the verge of leaving this part of the sport entirely and moving to California when Scott recalled him to active duty and asked him to handle Larson in his Cup debut last weekend at Charlotte and next weekend at Martinsville, and to handle Allgaier the rest of the season. Of course the game plan here may seem simple -- get your driver some good track position for when the final yellow comes out, probably with about 10 to go, and then let him do his thing. That worked well for David Ragan in the spring. Can Elledge get Allgaier in a similar position? "I don't expect this race to be any different than they've all been here," Elledge says. "You'll have people riding around in the back, waiting for the big wreck...and they'll find it. "You'll have people who are racing hard, and they'll find the wreck too. "And then somebody is going to win. Allgaier says he's got a question, about NASCAR's new '100 percent' rule. "Now saving fuel may be '100 percent,' and being conservative to avoid an accident may be '100 percent' too," Allgaier says. "But it will be interesting to see how it all plays out." "Some people might be trying to conserve fuel all day," Elledge quips. "And I predict the points will be very tight among five teams when we leave here. I'm not saying Matt and Jimmie are both going to have trouble, but I'm thinking this is the only really good chance that third, fourth and fifth (Kevin Harvick, Jeff Gordon, and Kyle Busch) have to make up a lot of ground. "And remember, it's a long, long way from the middle of the trioval (the typical finish line for other tracks) to the finish line down in turn one. A lot can happen right there."